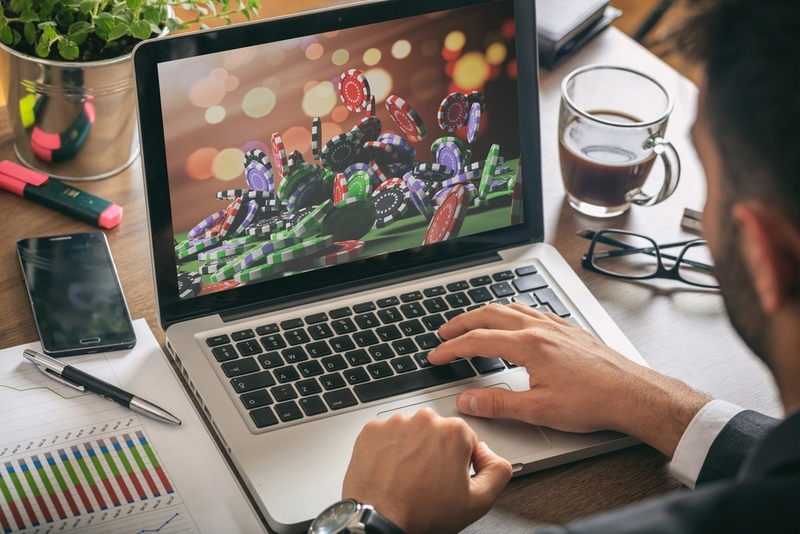 With the arrival of a new month you may be thinking that it’s time to explore some new online casinos. Here is a selection of the best to launch in recent weeks. 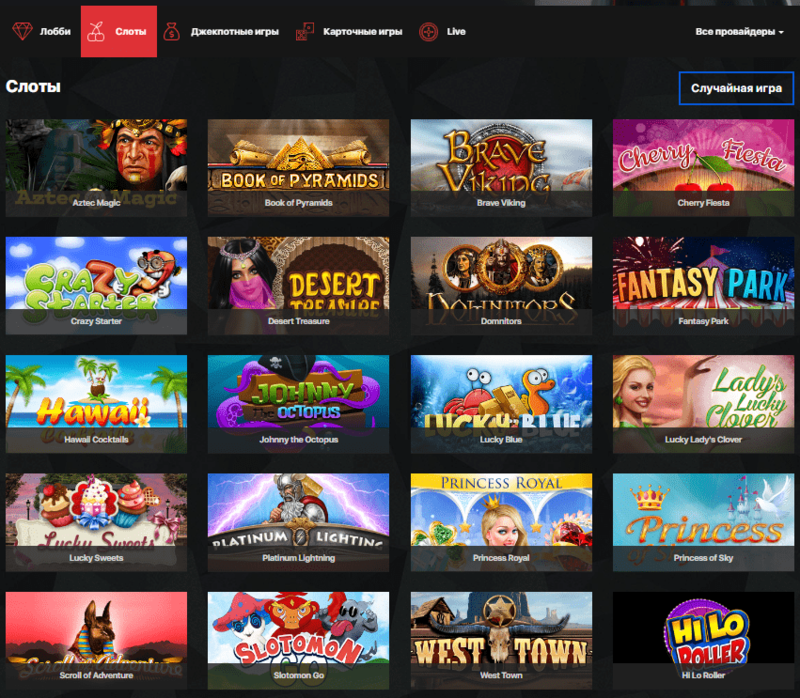 Dark Slot may be an unusual name for a casino that is full of bright games, but if you are looking for a new online casino that accepts Bitcoin then you could do a lot worse than the new Dark Slot Casino. When you join Dark Slot Casino you are offered a Welcome Bonus worth up to $1800. It comes in the form of four deposit bonuses. There is a 100% first deposit bonus of up to $600, a 50% second deposit bonus of up to $600, a 50% third deposit bonus of up to $400 and a 200% fourth deposit bonus of up to $200. You can then enjoy a number of other promotions including cashback, free spins, special tournaments and more. There is also a VIP loyalty scheme with four levels and as you climb through the levels you become eligible for even more rewards. At the casino you will find games from a number of top developers such as Microgaming, Net Entertainment, SoftSwiss, Yggdrasil Gaming and more. The games are broadly split into Slots, Card, Video Poker, Jackpot and Live. Slot players can enjoy hundreds of titles, including classic and video slots, with a huge range of themes, guaranteed to satisfy all types of player. In the Card section you will find a huge number of Blackjack variants to enjoy with more than enough choice to satisfy even the most discerning of players. There are also numerous Baccarat games, and slightly unusual games such as Cribbage and Mahjong. The Video Poker section includes numerous variants while the Live Casino offers a range of card and table games including roulette and blackjack. In the Jackpot section there is a collection of slots and card games offering some huge progressive jackpots. Dark Slot has made it easy to fund your account as they accept Visa, MasterCard, Skrill, Neteller, PaySafeCard and Trustly in addition to bitcoin. As a result you can fund your account quickly and easily. The same is true of withdrawing winnings, withdrawals are processed quickly so you won’t be left waiting for your money. Importantly, all of the payment methods offered are completely secure. If you run into problems then you can contact Dark Slots Casino via live chat or email. The customer support team is very responsive and will always do its best to deal with your queries and concerns as quickly and efficiently as possible. All in all, if you are looking for a new instant play casino, where you can gamble with bitcoin or with a regular currency, and enjoy a huge range of games and generous bonuses, then Dark Slot Casino is definitely worth a visit. If you want to jet away to an ocean paradise where you can enjoy some quality casino play then pay a visit to the brand new Jet Spin Casino where you will find a huge selection of games together with some great promotions. As soon as you join Jet Spin Casino you become eligible for some massive deposit bonuses. Your first deposit comes with a 100% bonus of up to €100 together with 50 free spins and the second deposit comes with a 50% bonus of up to €200 together with 50 more free spins. If you are a high roller then you qualify for a 50% bonus of up to €2000! You can then enjoy a 50% reload bonus every week of up to €100 with 100 free spins and every Monday you will have the chance to claim another 100 free spins. You will also be able to take part in regular casino tournaments where if you finish high enough on the leaderboard you will win loads more free spins. The casino also runs a VIP Club with six levels. As you play at the casino you will collect loyalty points and the more you have the higher your VIP level. These points can later be exchanged for real cash and you will also become eligible for many more promotions and rewards. Jet Spin Casino is home to over 2,000 games from top developers such as Microgaming, Net Entertainment, BetSoft Gaming, Scientific Games, Evolution Gaming, Yggdrasil Gaming and many many more. As a result, it doesn’t matter what type of player you are, you are sure to find loads to enjoy. There are hundreds of slots to play with all kinds of different themes. If you enjoy traditional card and table games you will find a huge variety including Roulette, Blackjack, Baccarat and many forms of casino poker and video poker. There is also a live dealer casino offering numerous tables including blackjack, roulette and some rarer games. There is even a special section of Bitcoin games so if you are playing with bitcoin you will find some exclusive titles to enjoy. You will find it easy to fund your casino account as there are many payment methods on offer. All of the methods are fast, easy to use and completely secure. You can make despots using credit and debit card, bitcoin, Skrill, Neteller, Sofort, PaySafeCard and more. It is similarly easy to withdraw your winnings and you will find that all withdrawal requests are processed very quickly. The casino is licensed in Curacao. It offers customer support via live chat and email and the team can be reached around the clock. There is also an extensive FAQ section on the website where you will find the answers to the most common questions and concerns. You can also contact the casino via social networks such as Facebook and Twitter. Jet Spin Casino is truly bursting with activity and there is so much on offer that you can probably always find something new to try (and hopefully enjoy). Next time you are looking for an action filled casino adventure give Jet Spin a visit. If you love online slot play and are looking for a hot new casino to enjoy that is fully licensed in the UK then the new Scorching Slots Casino may be for you. Right from the moment you first visit the casino they make you feel at home with some brilliant offers. You are offered a welcome package worth up to £500. 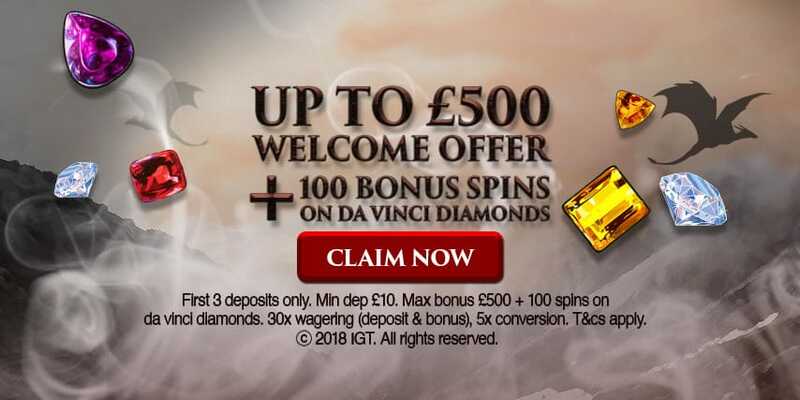 The first deposit comes with a 100% bonus of up to £50 together with 50 free spins on Da Vinci Diamonds slot. You then get a 100% bonus up to £150 on your second deposit with a further 25 free spins. Then, with your third deposit you will get a 50% bonus of up to £300 with 25 more spins. You can then enjoy deposit bonuses and free spins every Monday and many more promotions offering further bonuses and rewards. There is also a VIP Club with four levels that all players are entered into. As you advance through the levels of the club you can enjoy even more rewards and bonuses. At the casino you will find games from developers such as Bally, Big Time Gaming, Net Entertainment, Microgaming, IGT and more. As the casino’s name suggests, there is a huge emphasis on online slots and you will find hundreds to enjoy. The collection includes video and classic slots built upon all kinds of different themes and there is more than enough for everyone to enjoy. However, you will also find a great selection of casino games to enjoy such as roulette, blackjack and baccarat. This includes live dealer versions for the most immersive experience possible. A nice aspect of the casino is that you can make despots and withdrawals using PayPal. You can also use credit and debit card, Neteller, Boku, PaySafeCArd, Skrill, Trustly, Zimpler and more. As a result, all transactions with the casino are very quick and easy. Deposits are instant while withdrawals are processed extremely quickly. Most importantly, all of the payment methods on offer are completely trustworthy and secure, so you don’t need to worry about the security of your money. The casino is licensed in the United Kingdom and Gibraltar. To receive these licenses it must show that it upholds the highest standards of security and fair play. As a result, you can enjoy the casino with complete peace of mind. Furthermore, if you do run into problems then you can contact the casino via telephone and live chat from 8am to midnight GMT every day. You can also email them and they generally answer extremely quickly. In short, if you need a new place to enjoy slots, then Scorching Slots can provide you with hours of fun.